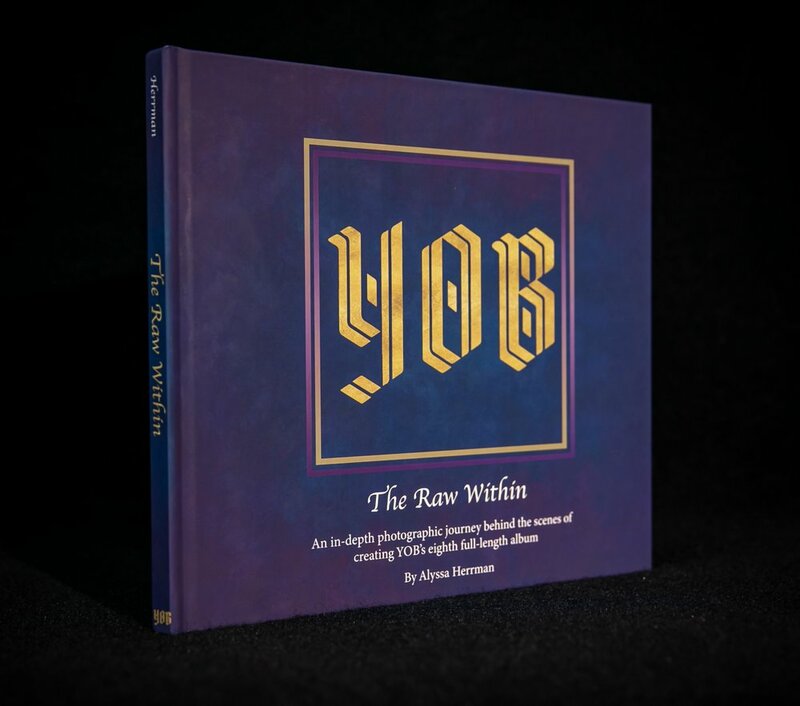 Granted unprecedented access to YOB, photographer Alyssa Herrman has captured the intense journey of writing, recording, and releasing their critically acclaimed 2018 album, Our Raw Heart, in her new photo book, The Raw Within. The books first shots are from the March 2017 benefit show for Mike Scheidt following his hospitalizations and surgeries for Diverticulitis, while the final shots are from Yob’s triumphant record release day in-store at Portland’s Music Millennium. The 11”x10” hardcover book includes 120 pages worth of never before seen images, as well as commentary and information from all three band members and those involved with the making of Our Raw Heart, including Billy Barnett of Gung Ho Studio. The Raw Within is a limited pressing of 500 copies.